Mastrodonato noted that Sale didn’t smile or laugh while explaining his new navel jewelry, instead letting everyone marinate in the possibility that the pitching hardass really did get a damn belly button ring. He is from Florida, after all. Thanks to Bob Nightengale of USA Today, the public was able to know the truth behind what happened. Sale confided to several teammates that he was going to tell his tale and see if he could fool the media into buying it. It’s no longer a big deal anyway, because the Red Sox found a way to beat the Astros without him. David Price was more than a suitable replacement, with six shutout innings in the Game 5 win that sent the team to the World Series. 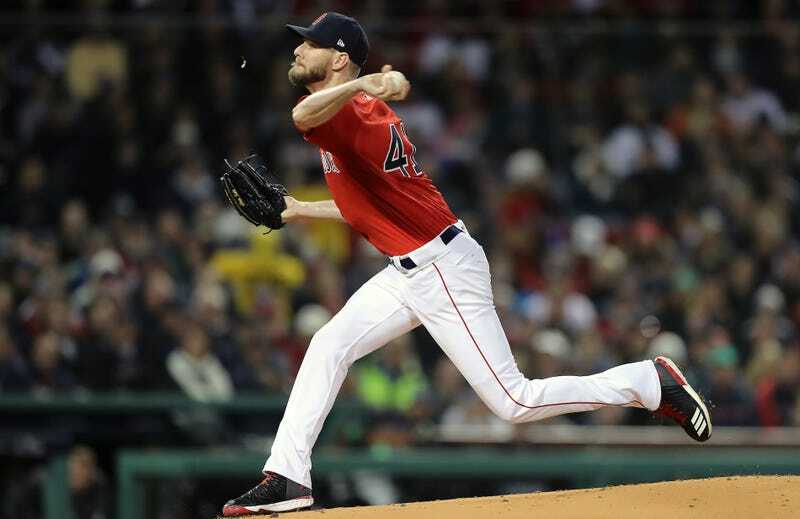 Sale is reportedly set to make the Game 1 start against the Dodgers on Tuesday, with over a week of rest under his belt. If Boston wins, he should have to get a real piercing—or at least a toe ring.